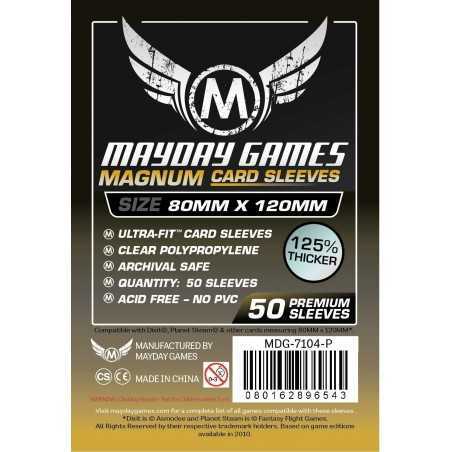 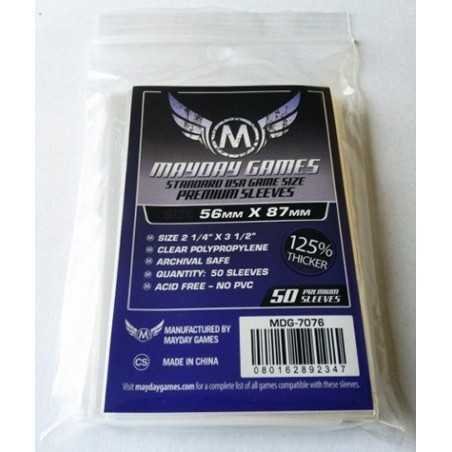 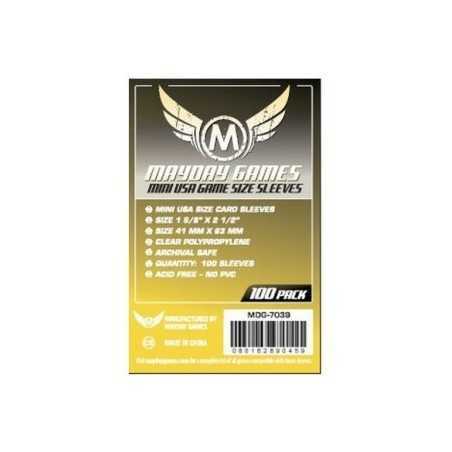 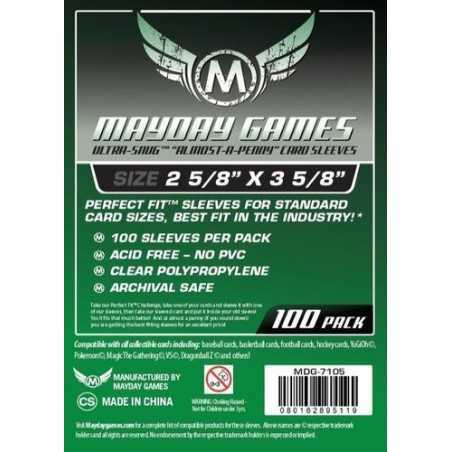 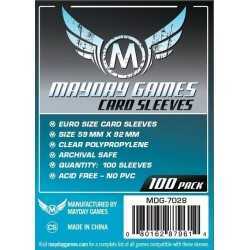 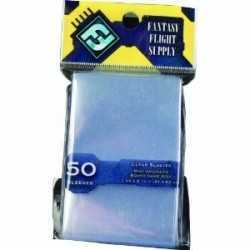 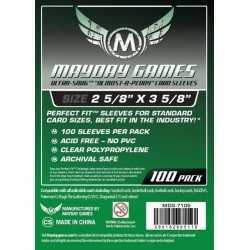 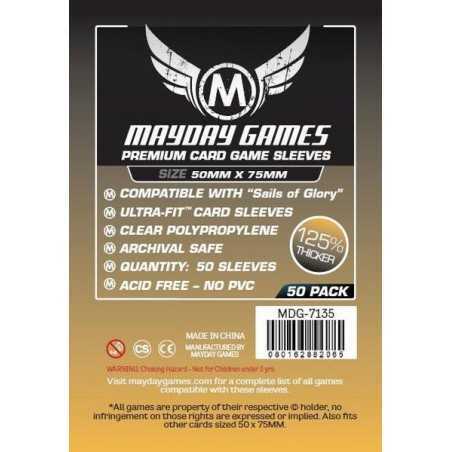 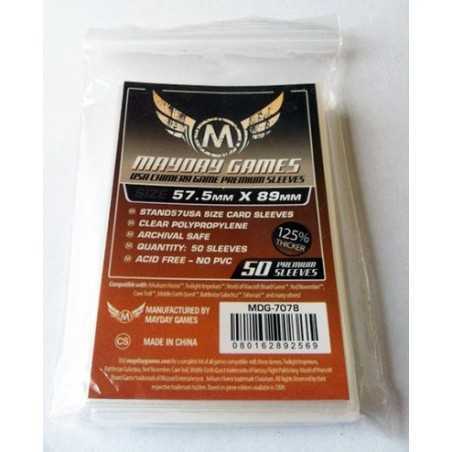 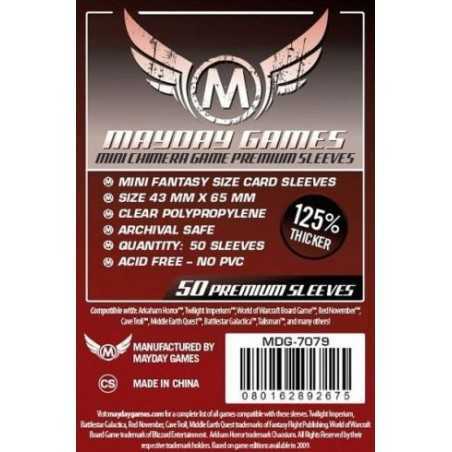 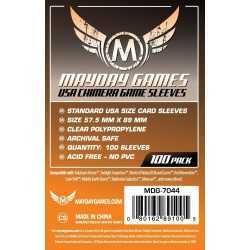 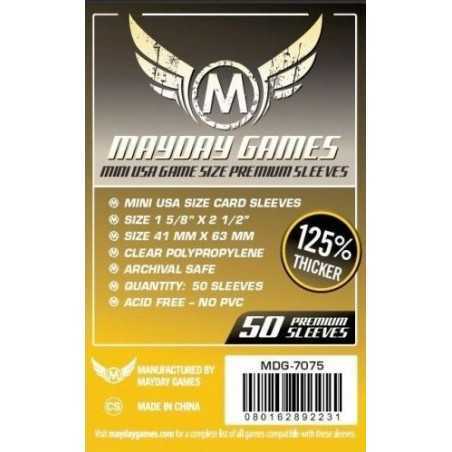 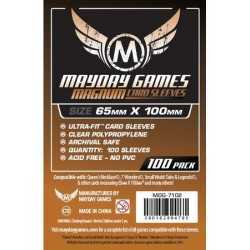 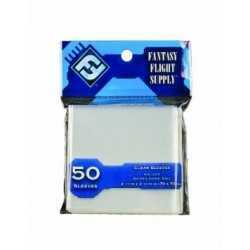 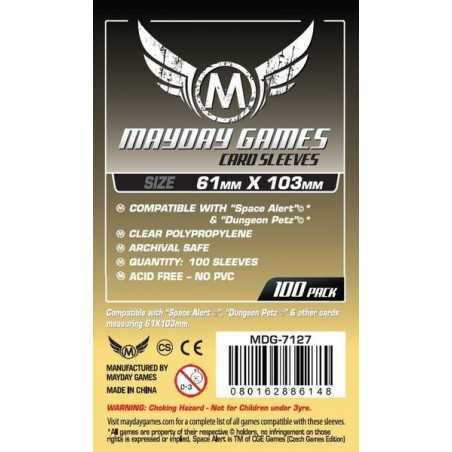 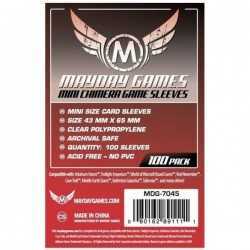 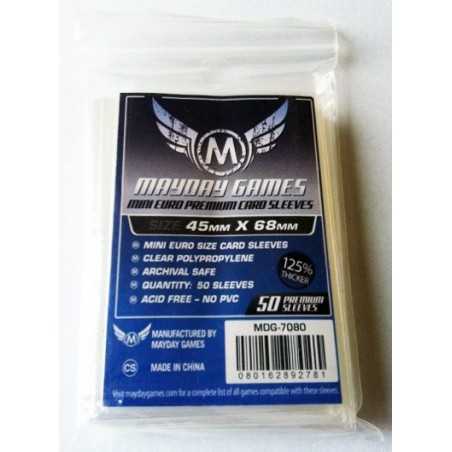 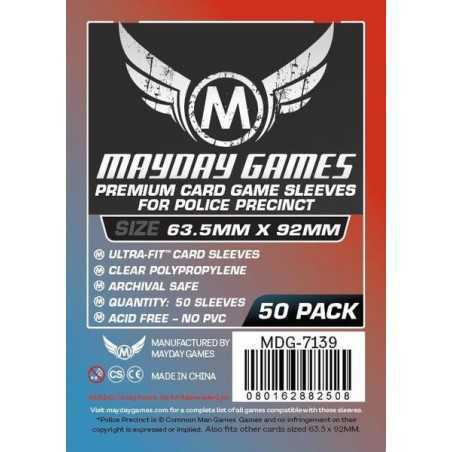 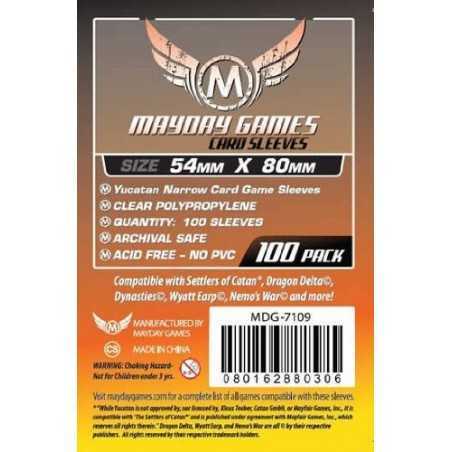 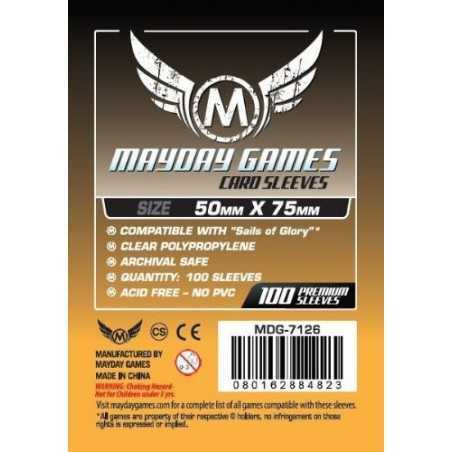 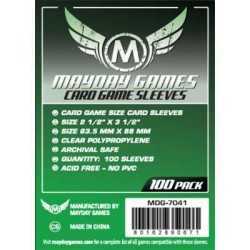 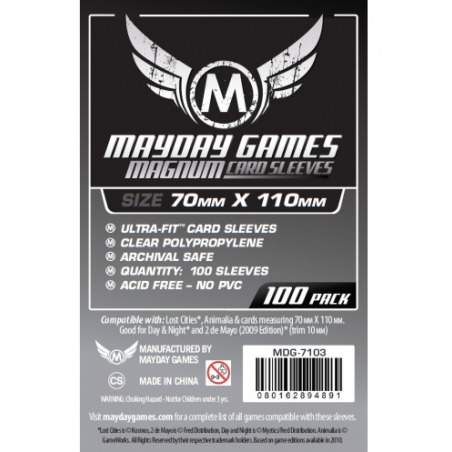 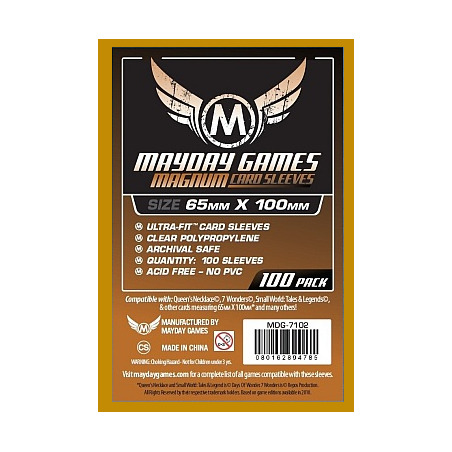 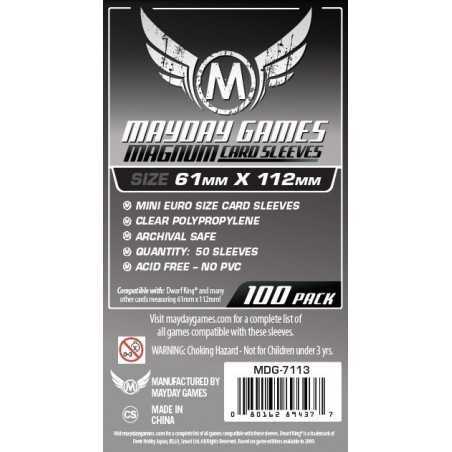 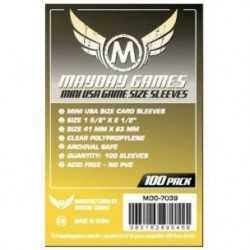 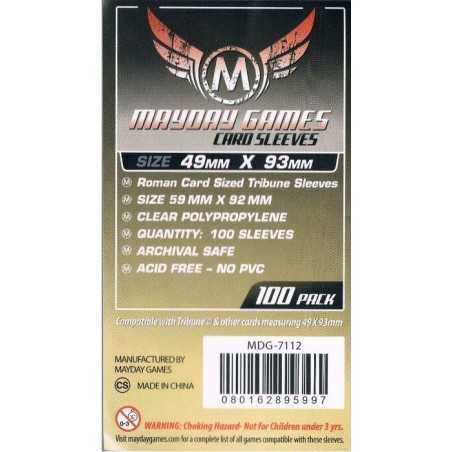 These sleeves are GREAT for games with a lot of cards that stack. 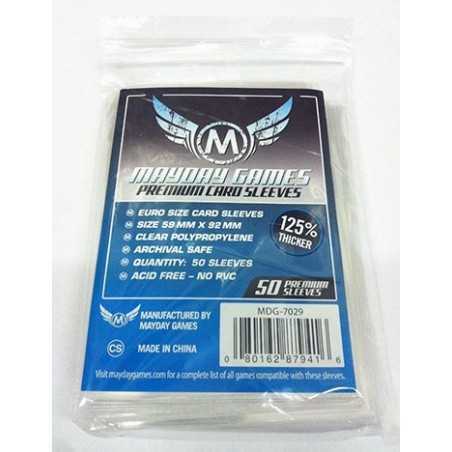 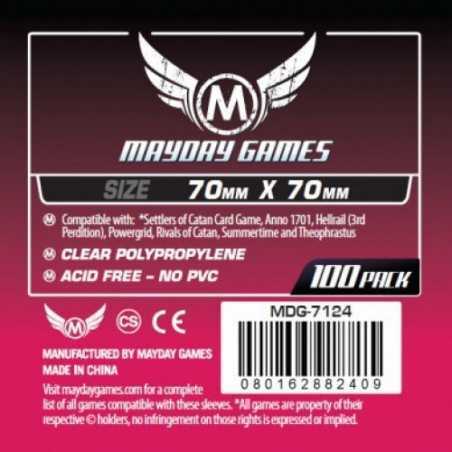 We have play tested a few thicknesses and this thickness works best if you have over about 60 cards in a pile. 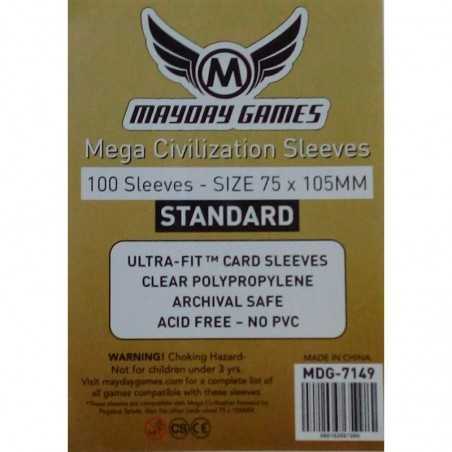 Any thicker and they simply fall over and difficult to shuffle due to the thickness. 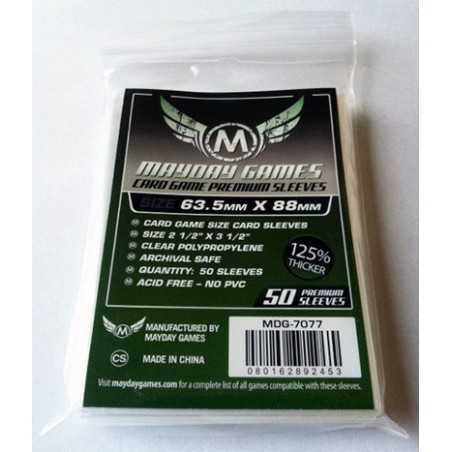 These are designed for cards of 41 MM X 63 MM, or 1 5/8 X 2 1/2 inches. 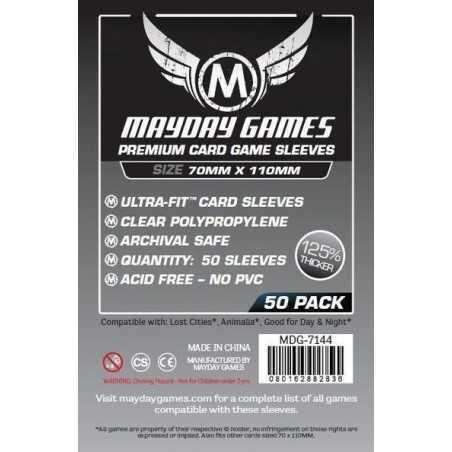 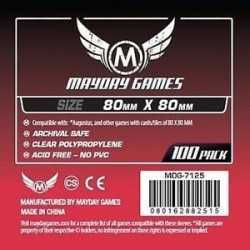 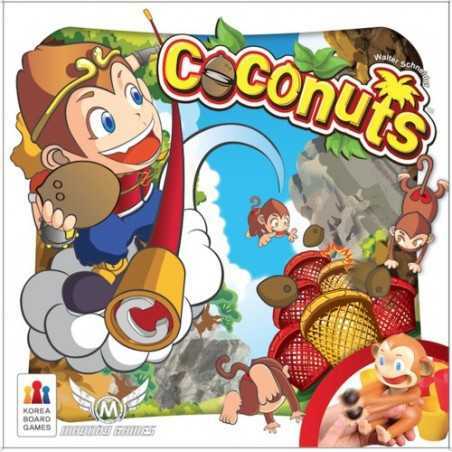 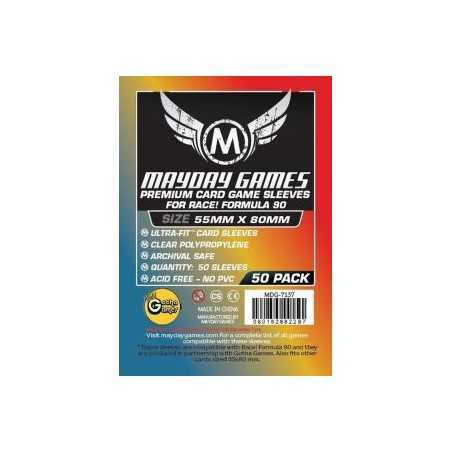 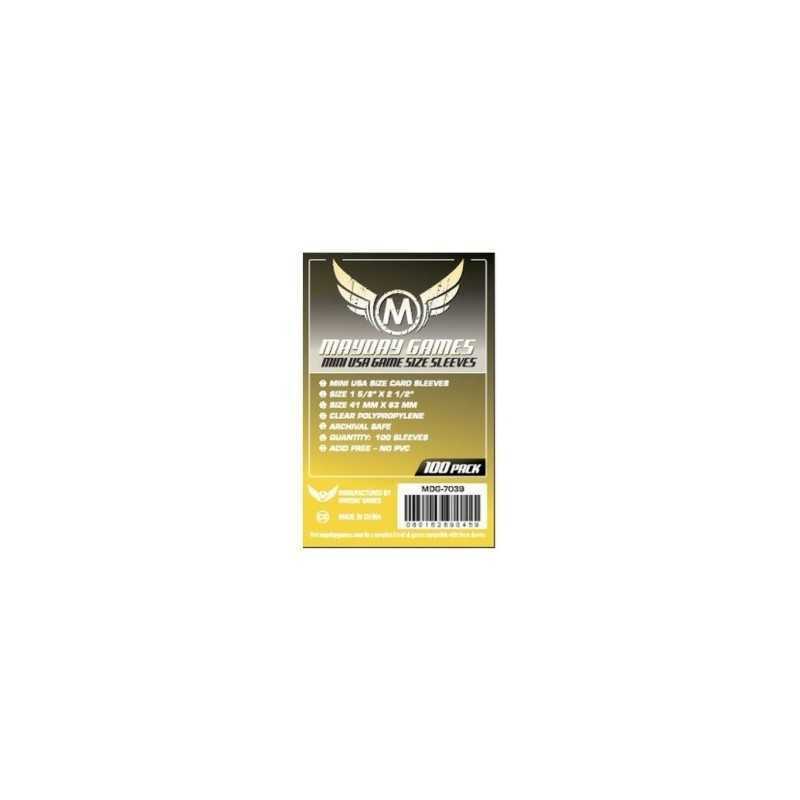 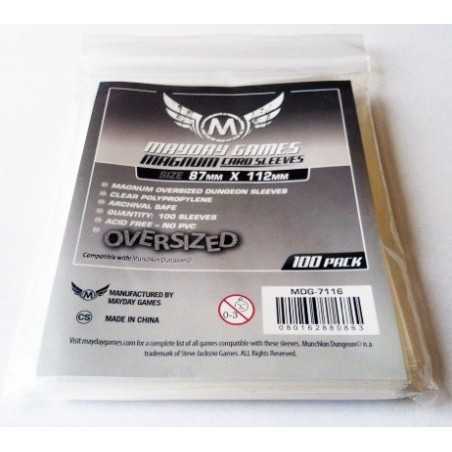 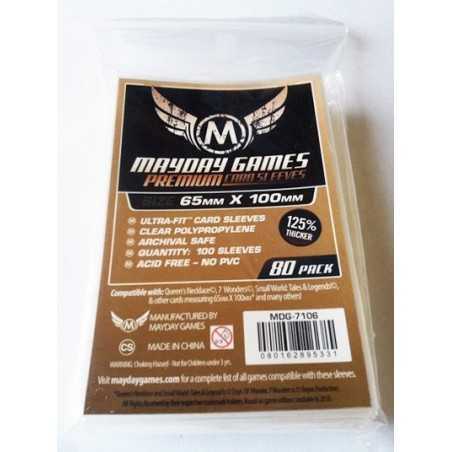 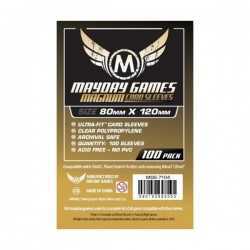 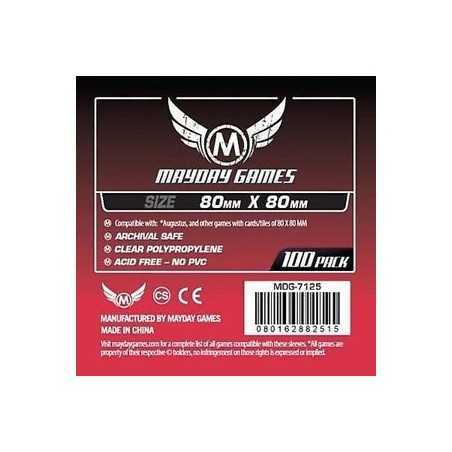 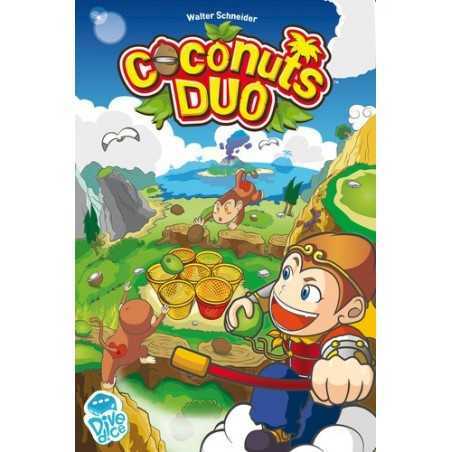 They are 100 per pack and priced for bulk purchasing!